This is my oldest daughter’s “ABSOLUTE FAVORITE”. 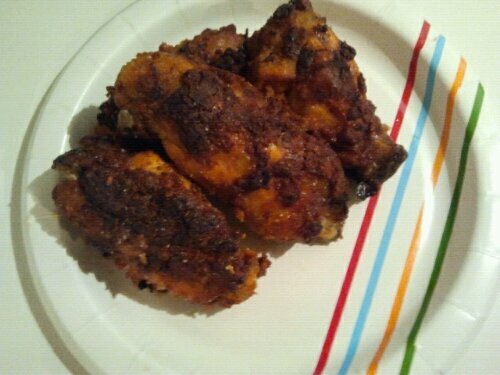 If it were up to her, she would have me make Oven Fried Chicken for dinner every day. I use frozen Natural Tyson wingettes from Sam’s Club. In a large bowl, I soak about 40 wingettes in cool water and ½ cup of apple cider vinegar. The vinegar helps in pulling out any impurities. I use vinegar when cooking chicken or turkey. After the chicken has thawed we are officially ready to begin. Get a small bowl and pour all your spices (except for salt we will add salt later) and ground flax seeds into the bowl and stir to get everything evenly mixed together. 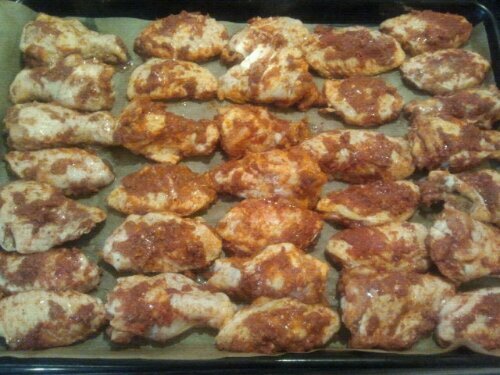 Place into your Pre-heated 500-degree oven for 45 minutes to and hour and do not cover with aluminum foil or anything. 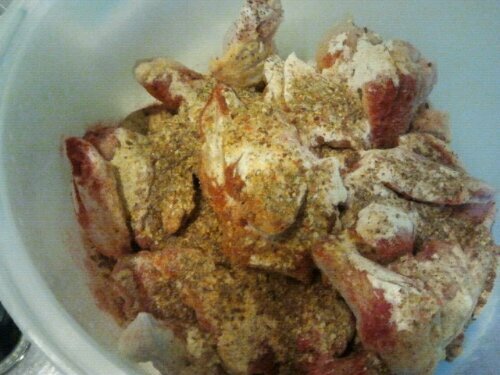 Once the wings are done and removed from the oven put the salt into the palm of your hand and sprinkle the salt all over the chicken. Allow to cool and add the sides of your choice. Enjoy!!! !